There are great differences in size, educational purpose, and emphasis among these institutions. Some are large and offer both undergraduate and graduate programs; most are relatively small and offer students a personalized campus community life. Some campuses emphasize a particular vocation or religious emphasis. Specific information about the requirements and educational opportunities available at any independent college in the U.S. is available in the GWC Transfer Center or on the web at www.aiccu.edu. Research Universities: USC, Stanford, California Institute of Technology (CalTech), Loma Linda, Claremont Grad. Degrees Offered: Private schools offer the full range of degrees, from Associate to the Doctorate, as well as professional degrees in law and medicine. APPLICATION FILING PERIODS: Filing periods will vary from campus to campus. Please refer to the individual catalog of the campus for more information. Transfer Information: This is a link to the four-year school’s website containing general information and application procedures for prospective transfer students. Articulation Agreement: An articulation agreement is an official agreement between Golden West College and the transfer institution. It identifies courses at Golden West that are equivalent to courses at the transfer school. This allows Golden West students to fulfill transfer requirements by taking articulated courses at Golden West. Articulation can be done course-to-course, for major requirements and/or for general education. In some cases, courses are only articulated as elective courses which do not fulfill any of the above-listed requirements. 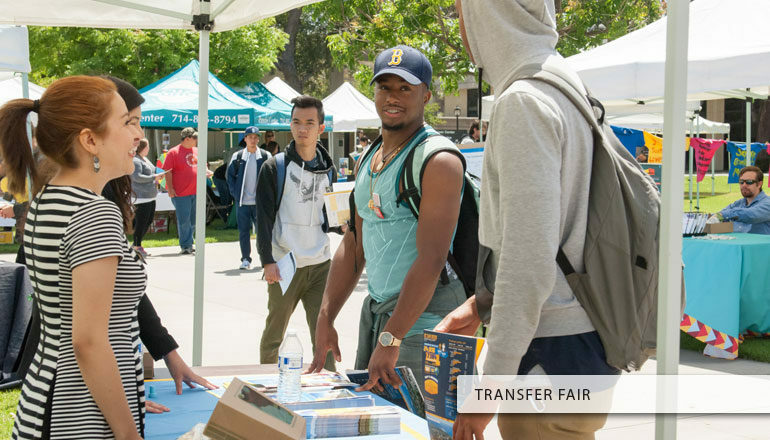 Course Equivalency: Course equivalency is determined by the admissions office of the transfer institution and is based on the credit previously granted by that institution to transferring Golden West College students. It is not an official institution-to-institution agreement and only provides a historical record of previously granted credit. There is no guarantee that similar credit will be granted in the future.